ROSE’S heavenly CAKES: Double Chocolate Valentine (page 113). beginnings: my favorite restaurant, where i’ve been celebrating birthdays since my 19th. 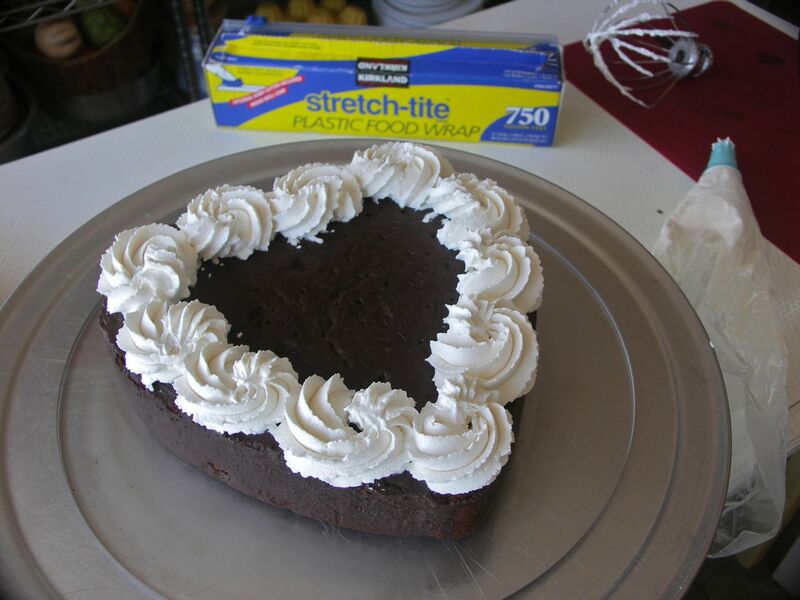 beginnings: my double chocolate valentine with mango begins with whipped cream rosettes. endings: the same restaurant, this year starts charging a $25 cake cutting fee. 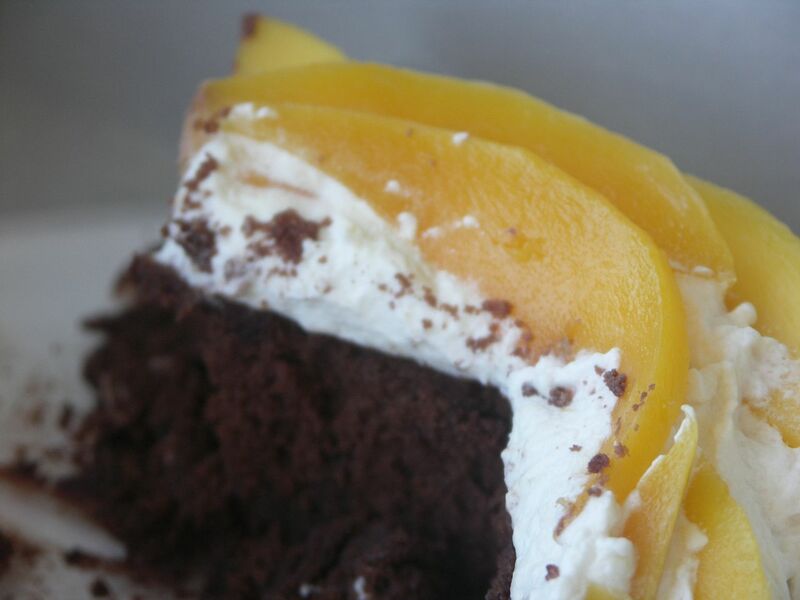 endings: my double chocolate valentine with mango, the last cut. That would hurt if after all the years, suddenly being charged. It’s a big inflation, $0 to $25 :). I’m very amazed that you celebrate birthday every year at the same place. Can I ask what kind of food is it? I’m sure it’s delicious, but is it also more of a tradition for you? I love the waiter’s comment, and so true! The cake is too perfect :). J, Roys is pacific rim fusion. I also adore celebrating at Sabrinas ristorante. how can i contact you? are you in cape town?